The Bellesoma Method is a revolutionary leap forward in breast reduction surgery that offers natural-looking, long-lasting results without leaving an unsightly vertical scar. 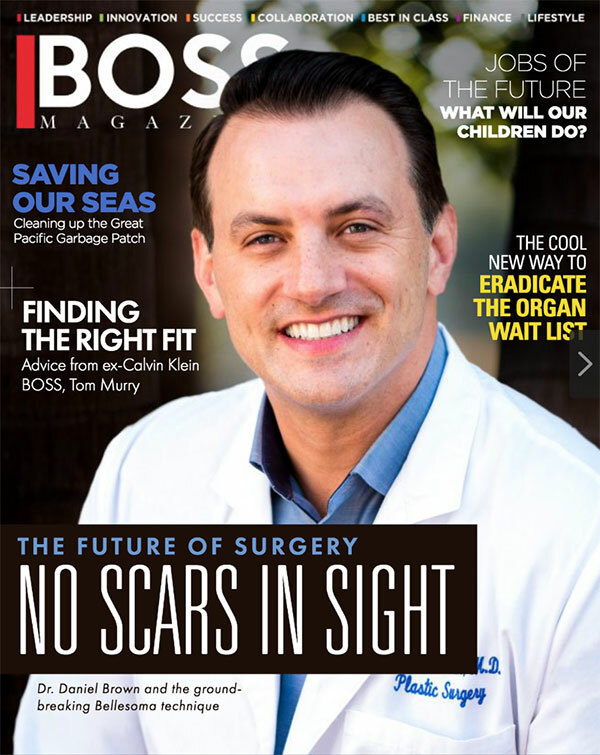 Dr. Daniel Brown is one of only five surgeons in the world and the only surgeon in southern California performing the Bellesoma breast reduction. Learn more about this innovative procedure below, and then call to request a consultation with Dr. Brown in La Jolla, Coronado, or Del Mar. The Bellesoma breast reduction is a revolutionary procedure that allows women to decrease the size of their bust without the need for a vertical incision. Furthermore, it reduces the amount of tension often placed on the neck and back, while lifting the breasts to a more youthful and attractive position. The method uses a state-of-the-art 3D scanning software that calculates the specific volumes and measurements of the breasts, which then creates a “surgical blueprint” for each individual’s procedure. Some of the metrics outlined in the surgical blueprint will include how much tissue to be removed for a reduction and how to transpose tissue onto the chest to create a new, full breast mound. These quantitative systems are employed prior to the operation, allowing for optimal accuracy and full, natural-looking results. Candidates with one or more of these concerns, who are also interested in achieving a breast reduction without incurring a vertical scar, may be good candidates for the Bellesoma breast reduction. As with any standard breast reduction procedure, candidates should be in good health, at a stable and healthy body weight, possess the proper ability to heal following surgery, and not smoke. In order to find out whether or not you would be a good candidate for the Bellesoma breast reduction, please contact Dr. Brown’s offices in La Jolla, Coronado, or Del Mar to request a consultation. He will be more than happy to help you find the method that works best for your body and lifestyle. In a traditional breast reduction procedure, the doctor will utilize either a vertical incision or an anchor incision. A vertical incision runs from the areola to the breast crease and the anchor incision also requires a second incision running across the inframammary fold. Both of these incisions will leave the patient with obvious vertical scarring extending from the areola to the breast crease. Using the Bellesoma Method, Dr. Brown can perform a breast reduction without the need for a vertical incision. This means no vertical scarring! Instead, incisions are made around the areola and along the inframammary fold, where any resulting scars will be hidden and nearly imperceptible. A traditional breast reduction procedure simply removes tissue from the breasts in order to reduce the size and, therefore, the amount of weight being carried by the shoulders, neck, and back. With a Bellesoma breast reduction, new breast mounds are created using the patient’s own tissue. These breast mounds are positioned higher on the chest wall and sutured to the pectoral chest muscle. This removes the burden of weight from the neck, shoulders, and back for optimal relief. Plus, this method allows patients to reduce the size of their breasts by as much or as little as they desire, while still offering relief from neck, back, and shoulder pain. Finally, with the Bellesoma breast reduction method, patients are basically getting two procedures in one: a breast reduction and a breast lift. The procedure decreases the volume of the breasts and repositions breast tissue for a more youthful and contoured aesthetic. Volume will be maintained in the upper poles of the breasts, giving patients beautiful cleavage that they often desire. Prior to the surgery date, patients may be instructed to alter medications or supplements that they take. If the patient smokes, then they will be asked to quit smoking prior to the surgery date. Smoking can seriously interfere with the patient’s procedure, recovery, and results. Patients will be provided with medication that will help alleviate discomfort following the procedure. They should fill this medication at their pharmacy prior to the surgery date. Since patients will be provided with anesthesia during the surgery to optimize comfort, they will not be able to drive themselves home after their operation. We ask that patients make arrangements for somebody else to pick them up prior to the surgery date. Finally, we ask that the patient makes sure that another adult will be at their home with them for the first night after surgery in order to assist the patient with anything they might need. The Bellesoma breast reduction technique will reduce the size of the breasts, while also providing patients with a more lifted and younger looking silhouette. Like traditional breast reduction techniques, the Bellesoma Method alleviates many of the concerns patients have that are caused by very large breasts. Some of these include: neck, back, and shoulder pain, unwanted attention, ill-fitting clothing, and self-consciousness. In addition, the Bellesoma breast reduction has the added benefit of leaving no vertical scar on the breasts following surgery, which is often a major patient concern. Instead, the only necessary incisions are hidden around the areola and in the crease under the breast, which blend in with the natural borders. The Bellesoma breast reduction takes the following steps to leave breast reduction candidates with a smaller bust that they love. Before: Patients have excessively large breasts that strain the back, neck, and shoulders. Phase 1: Dr. Brown will remove excess fat and tissue from the breast to create a smaller breast size. New breast mounds from the patient’s own tissue will be created high on the chest wall. Phase 2: These mounds will be attached to the chest muscle in order to remove the burden from the skin around the breasts and, therefore, also alleviating pain in the neck, back, and shoulders. Phase 3: Sutures are placed in the breast crease and around the areola. This waives the need for unsightly vertical scarring on the breasts. Patients will be able to see results almost immediately following the procedure. Swelling will diminish and their incision lines will fade for beautiful results. Recovery from the Bellesoma breast reduction is comparable to that of any other breast surgery. Patients will be bandaged and placed in a comfortable recovery bra in order to alleviate swelling and bruising and to help the breasts settle into their new shape and position. A post-procedure garment is to be worn for approximately four weeks. The patient will also need to take approximately 5-7 days off from work in order to ensure proper recovery following the operation. During this time, they will be able to shower the day after surgery and should be up and mobile with minimal discomfort. Patients will be provided with more detailed recovery information prior to their surgery date, customized for their individual case. Dr. Brown will meet personally with all Southern California patients interested in the Bellesoma breast reduction in his San Diego offices prior to developing a customized surgical plan. During the consultation, he will ask the patient about their concerns and what they hope to achieve from the Bellesoma Method. He will perform a comprehensive health assessment and breast exam, and ask about the patient’s medical history in order to determine if they are a good candidate for the Bellesoma breast reduction. If the patient is good candidate for the procedure, then Dr. Brown can use the customized Bellesoma 3D software in order to draw up a surgical blueprint for the procedure. At this time, Dr. Brown will also be able to provide the patient with a cost estimate. The only way to ultimately determine if you would benefit from this revolutionary procedure is to schedule a consultation with the only Southern California board certified plastic surgeon trained in the Bellesoma Method. Dr. Brown is one of only five surgeons in the world currently performing this procedure. 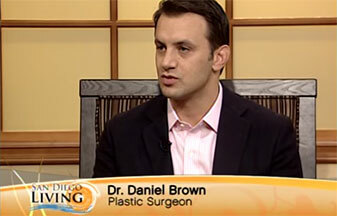 Contact the office of Dr. Daniel Brown today to request your Bellesoma consultation.